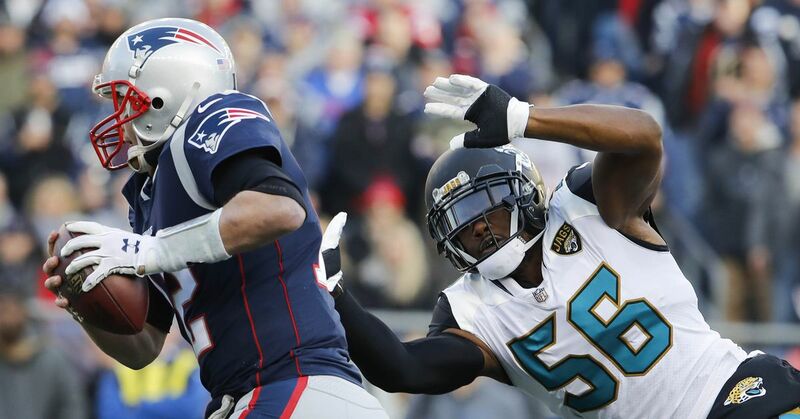 To help shore up the pass rush, the Los Angeles Rams completed a trade for Jacksonville Jaguars EDGE Dante Fowler Jr. The Rams are clearly in win-now mode and aren’t sparing any expense making a move that they clearly didn’t need as the Rams are 8-0 and the defense remains one of the NFL’s best. Given the track record of General Manager Les Snead to spend draft capital for proven players, it came to no surprise that the Rams are taking a calculated gamble to shore up the pass rush. While at first, the draft capital may sound a bit rich for a player who is on the eve of entering free agency as an unrestricted free agent, keep in the mind that the Rams are currently on track to potentially add two third-round compensatory picks for CB Trumaine Johnson and WR Sammy Watkins. So the question becomes one of whether Fowler is around solely for 2018 which would grant the Rams an additional compensatory pick, the round of which would be conditional on multiple factors, or if the Rams opt to re-sign the former first-round pick to a long deal. The former might not be so costly given all considerations and may offer some upside if Fowler does upgrade things on the field. The latter would be more interested given that Fowler has been somewhat of a disappointment to this point in his career coupled with the fact the Rams traded EDGE Robert Quinn this offseason. One random irony? You could make the case that Fowler is coming in as a replacement for DE/OLB Dominique Easley who was placed on IR with a knee injury earlier this month. The irony lies in that the two both played at Florida together when Fowler took over for an injured Easley in 2013. Throw in grumbling that Fowler’s attitude and off-field demeanor had become a problem, and you can see why the Jags were eager to move on in a situation that echoes the surroundings of CB Marcus Peters with the Kansas City Chiefs when the Rams made that deal this offseason. Like I said before on the potential for a trade, I didn’t really care who they got. The picks are nice to have but the championship window is NOW, and Fowler is immediately your best edge rusher. Hopefully he can make a difference. At minimum his speed will be >>>>>>> Dongacre. I’m intrigued by the trade for Fowler. He’s an uber-athletic pass rusher who does have some production and some untapped potential. I don’t know what his ceiling is – or if he even re-signs in a few months – but he’s instantly our best EDGE. Also get a comp pick if he walks. HC Sean McVay said yesterday LA was working to acquire an edge rusher, and now that’s come to fruition.
.@RamsNFL, once again, have 7 former 1st-round picks on their defense. To summarize: Rams traded Robert Quinn for a fourth-round pick and a swap of sixth-rounders, and traded a third-round pick and a fifth-round pick for Dante Fowler. Welcome the newest Ram, Dante Fowler via twitter @dantefowler as he will help ramp up and already dangerous pass rush.